Is There A Car You Wish You Still Had? The topic of future classics is an interesting one, especially when it involves an expensive purchase you may or may not be trying to justify in your own mind. But of course, any car enthusiast’s guess about what cars will be hip and cool decades in the future is just that—a guess. But a car doesn’t have to be a future classic to be missed or important years later, especially to a former owner. And it can be hard to tell in the moment—when finances and other tempting automobiles are on the mind—which cars will be the ones that you wish you’d kept around all those years ago. She sold it seven years later, simply because it was getting old and she felt like needed something else as a newlywed. She got a five-speed Datsun, but can’t remember what it was, before later trading it in for another Datsun. She didn’t like the first Datsun much. 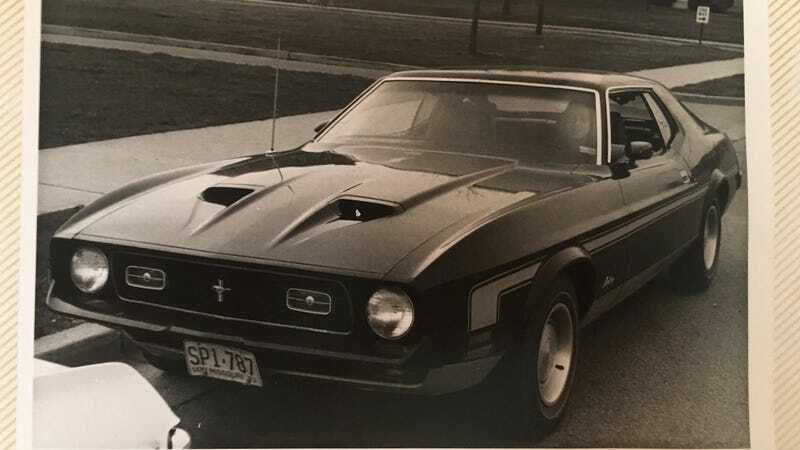 But now, decades later, she wishes that Mustang were still around in her garage. She couldn’t know at the time that the body style would still look good all these years later, or that she’d want it back one day. Like my mom, none of us can predict the future or what decisions we’ll regret later on. The world would be a better place if we could do that. (Well, that’s just a guess.) But if you could go back and tell your younger self not to sell a car you once had, which one would it be?